This is a picture of a Great Blue Heron on the north shore of Anna Maria Island, Florida at sunrise. 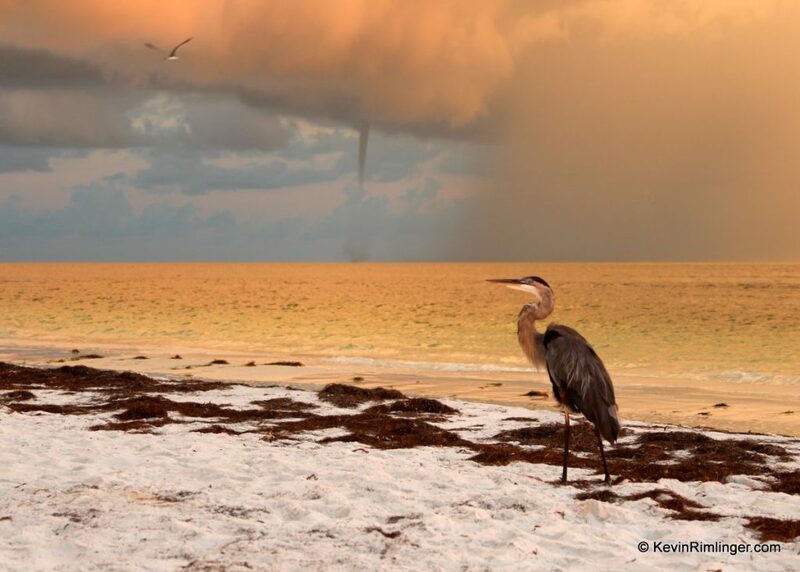 A waterspout forms behind it over the Gulf of Mexico. I took this picture last Wednesday. I am entering this in this weeks Photo Friday Challenge: From Nature.